Santiago is a big city. Stretching out from the base of the Andes mountains and sprawling across the valley, its many barrios could take weeks to explore properly, full of museums, art galleries, great restaurants, historic sites, and modern innovations. But there are some absolute must-do and see sights when you’re in the capital for even just a few days, so here’s how to do Santiago in just a weekend! Climb up San Cristobal Hill to take in the view – A can’t-miss stop when spending even just a day in Santiago is San Cristobal Hill, a tall cerro rising up from the Bellavista neighborhood and overlooking the city center and surrounding neighborhoods. You can walk up the hill or (the more popular option) take the funicular train up to the top, where viewing platforms and a tall statue of the Virgin Mary offer breathtaking views of the city, which you can enjoy with refreshments like empanadas and a glass of mote con huesillo. You can also visit the Santiago Zoo and a Japanese-style garden, which are located near the base of the hill, and after taking in the views from the top, take the aerial cable car back down. Wander around Lastarria and Bellavista – These are two of Santiago’s most famous barrios, and for good reason. They’re easily walkable and can make for hours of meandering entertainment. 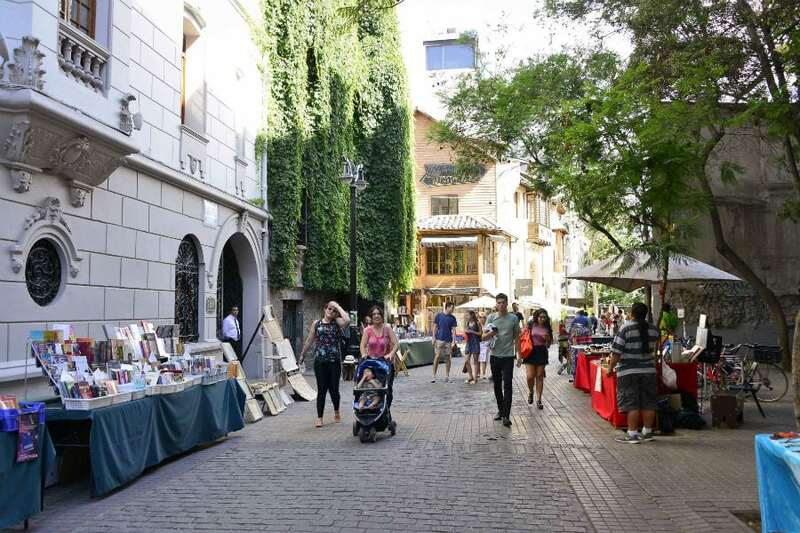 In Lastarria, museums and art galleries vye for space with vinyl stores, vintage clothing boutiques, trendy eateries, and street art sellers. The architecture of Lastarria is one of its highlights: it’s very European and you’ll feel like you’re in a corner of London or Paris as you wander the cobblestone streets. 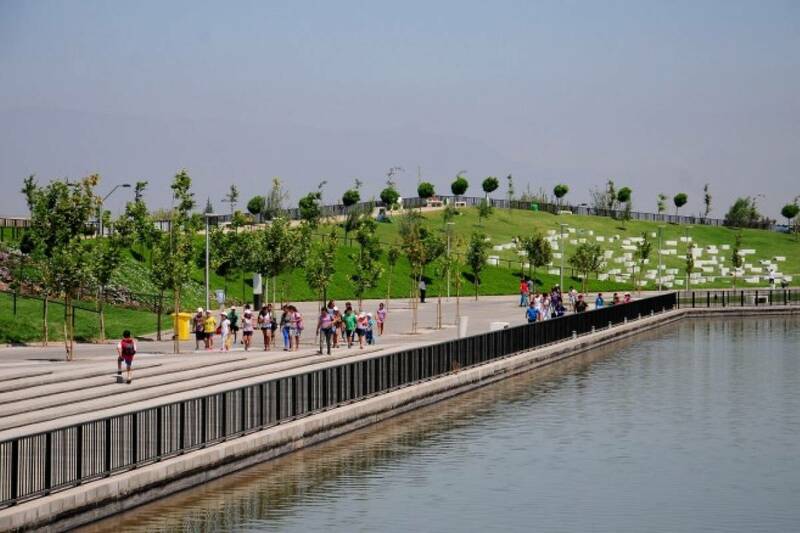 Then, cross over the river to explore Bellavista, the capital’s bohemian neighborhood. Here you can find great street art, hip clubs, hippie hangouts, and La Chascona, Pablo Neruda’s quirky Santiago home. There’s more than enough to see and entertain visitors for hours on end. 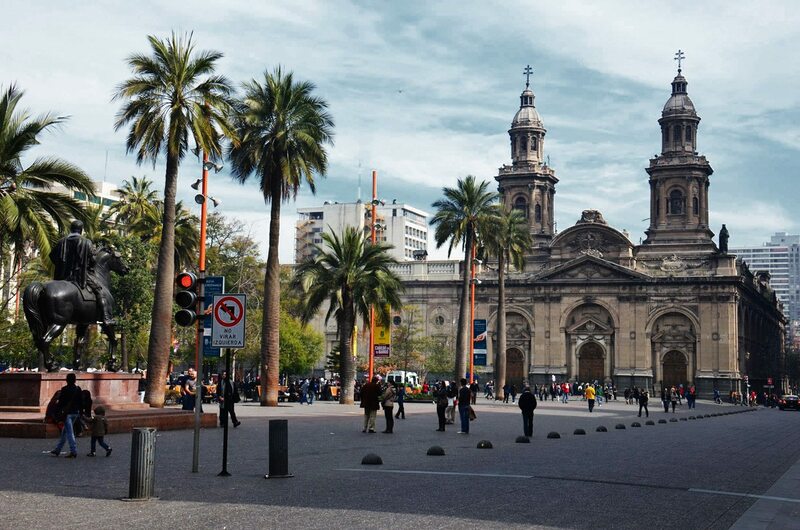 See the historic buildings in El Centro – The city center has some of the capital’s oldest and most refined historic buildings, all located within a few blocks of each other and so easy to explore over the course of a few hours. Start by taking in La Moneda, the stately Presidential Palace, before heading over to the Plaza de Armas where, in between getting your caricature drawn and enjoying snacks from street vendors, you can be awed by both the exterior and interior of the National Cathedral, as well as admiring the classic architecture around the square. 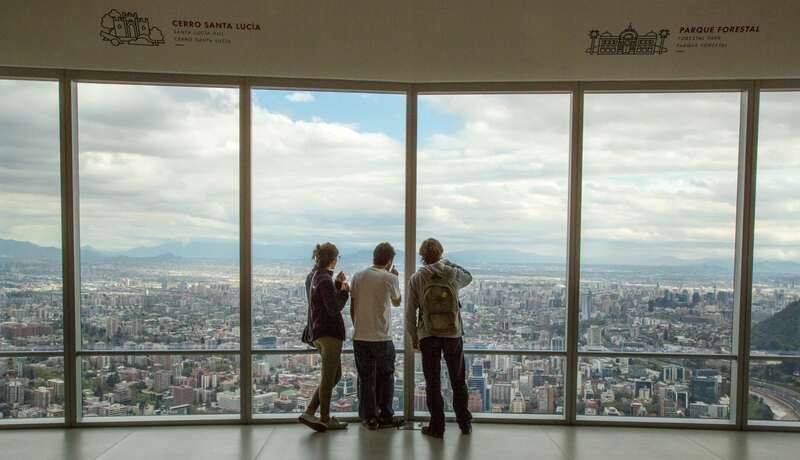 Visit the observation deck at the top of the Gran Torre – The best view in Santiago can be found from the observation decks on the top two floors of the Gran Torre at the Costanera Center, the tallest skyscraper in South America. 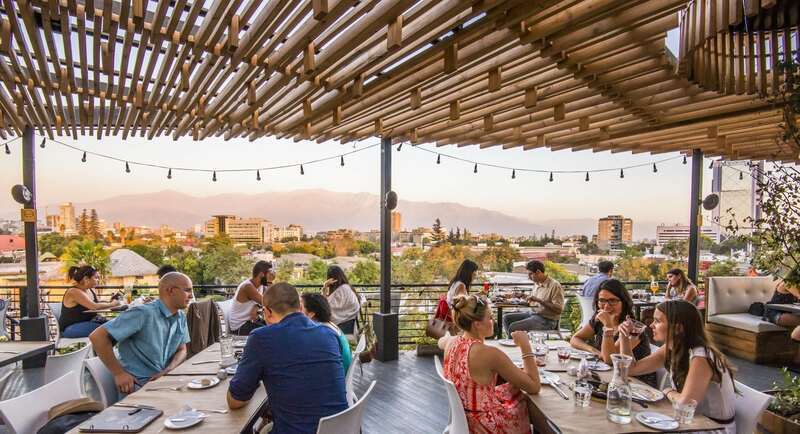 Located alongside the Mapocho River between the barrios of Providencia and Las Condes, the decks have expansive, sweeping views of the surrounding mountains; views that are not to be missed. 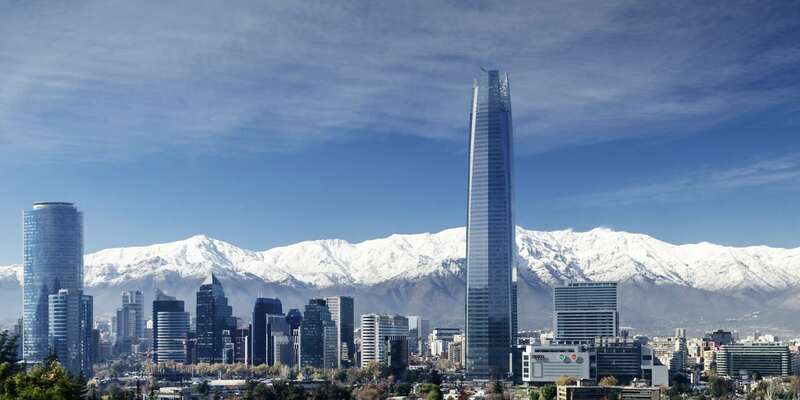 Learn about Chilean (and South American) history and culture at the capital’s top notch museums – You could easily spend whole days at Santiago’s highly informative and engaging museums, but an afternoon or a few hours will do. The Museum of Pre-Columbian Art is not to be missed, filled with thousands of timeless relics from the great civilizations of Chilean and South American history. 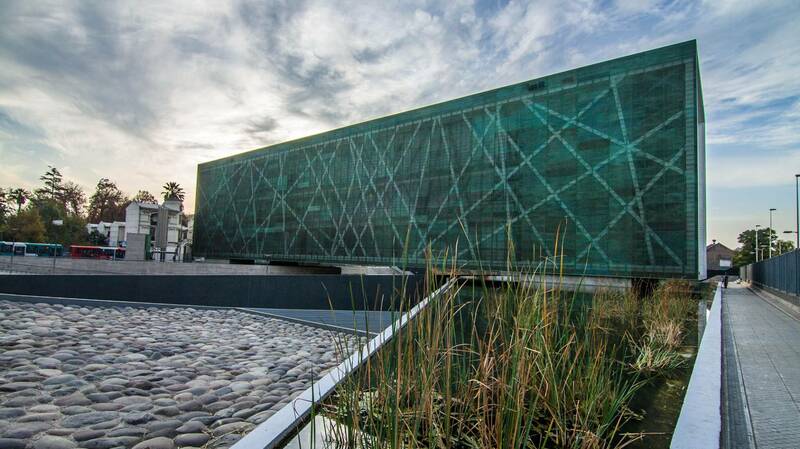 The Fine Arts museum showcases Chilean as well as international talent, and the Natural History Museum offers a fascinating look at Chilean flora and fauna. But the Museum of Memory and Human Rights may be the city’s best : a reflective, honest look at the history and atrocities of the Pinochet dictatorship. 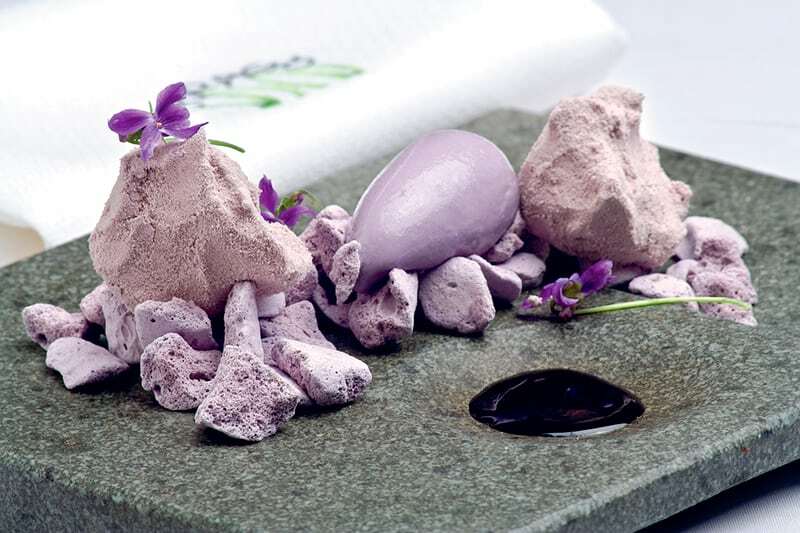 Try authentic Chilean cuisine – Santiago is in the midst of a culinary renaissance, taking advantage of Chile’s incredible wealth of fresh, local fruits, vegetables, and meats to create bold, experimental new dishes, as well as elevate timeless classics. Some of the best places to try include: Liguria, which makes fantastic Chilean sandwiches; Fuente Alemana for German-Chilean fare and hearty beer; BocaNariz for the city’s finest wine bar; Chipe Libre for knock-you-to-your-knees pisco flights and cocktails; and for a very special night, Borago, considered one of the world’s best. Take a break from all the crazy with a walk in the park – Running around trying to see all the top sights in just a weekend can be overwhelming, so plan time to take a break and wander through Santiago’s lovely parks. 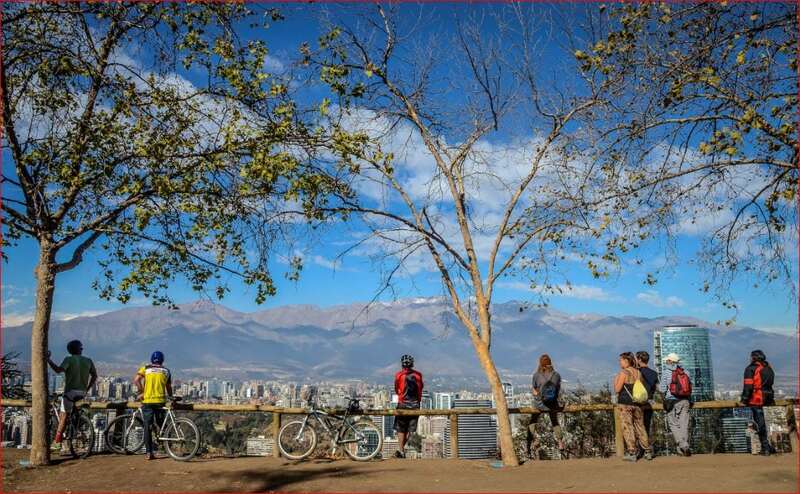 The Parque Forestal stretches along the side of the Mapocho River, and is just minutes away from Bellavista and Lastarria. Quinta Normal is also a great place to meander, with its many paths, leafy trees, and fountains and ponds; it also houses several museums. 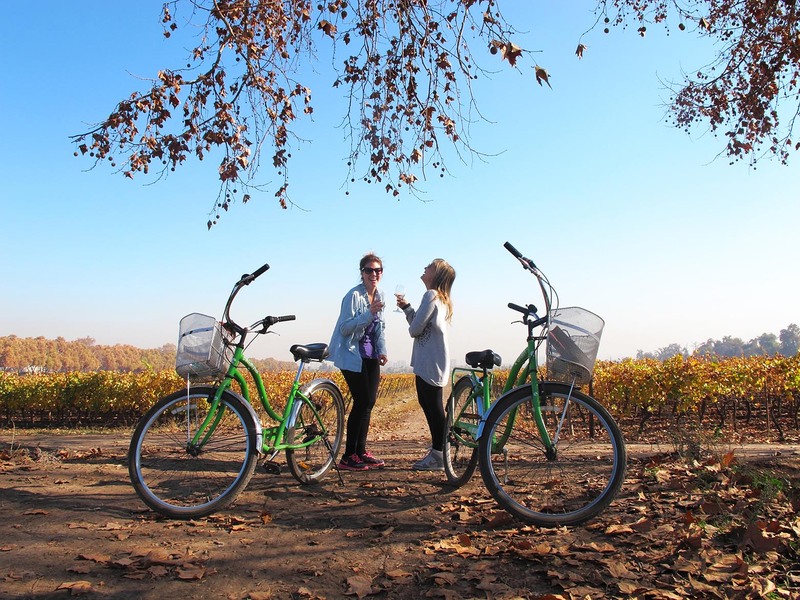 Get out of town for a few hours – If you’re not really a big city person and want to spend your time in Santiago also seeing a bit of the surrounding countryside, you’re in luck: there are many fantastic day or afternoon trips located close by the city. If you want to see the mountains, pay a visit to Cajon de Maipo, a gorge just outside town where people go for outdoor sports like rafting and hiking, as well as to see the El Yeso Dam and Reservoir, soak in high mountain thermal hot springs, and hike to a distant glacier. Or, if you prefer something a bit more relaxing, go for an afternoon of wine tastings at the vineyards in the nearby wine valleys of Casablanca or Colchagua. You can also visit the seaside city of Valparaiso, home to colorful houses, funiculars, and street art. All these destinations can be reached in just an hour or a bit more, and offer a great respite from city life. End the day with a bit of fun – Santiago has a thrilling nightlife scene: plenty of hopping clubs, bars, and even speakeasies where you can drink, dance, and make merry until the wee hours of the morning (Chileans are notorious partiers). So after a long day of exploring, hit the dance floor and have some fun!